Martin Guerre Research Papers discuss one of the first cases of identity theft. The evidence that Martin Guerre had in fact returned to his wife and home after 12 years lies in several mistakes made by Pansette and in the final revelation of the one-legged man claiming his family. Living a lie and taking on another man’s identity must be a grueling task and Pansette played the part well with the exception of a few careless mistakes. The mistakes, along with the return of the man claiming to be Martin Guerre, prove that the “new Martin” was in fact Arnaud du Tilh, or better known as Pansette. Pansette played the part of Martin Guerre very well. Too well in fact. The real Martin Guerre was a miserable, unlikable, and selfish man. The fact that Bertrande was suddenly taken by Martin is given to the fact that Pansette was much more compassionate to her needs than the real Martin was. The real Martin paid little attention to his family and hated the community in which he lived. Pansette was endeared by the community and had friends throughout who were willing to support him at all costs. Pansette had even gone as far as winning the favor of the sisters he deserted and the family that Martin left behind when he married Bertrande. Pansette could not fool Martin’s uncle. Martin’s uncle noticed that Pansette had none of the interests that Martin held dear to him. Gone was Martin’s love for swordplay and acrobatics, something that was part of Martin’s core being. Also, Pansette showed none of the traditional Basque expressions that Martin had held onto in his disdain for his new community. Even more damaging was the fact that in the summer of 1559, a soldier, passing through Artigat, saw Pansette and told several villagers that he had seen Martin Guerre lose a leg at the siege of Saint-Quentin and therefore the man living with Bertrande was an imposter. The final nail on the coffin of Pansette came at the end of the novel on the final day of the trial. 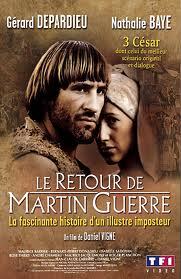 Returning to the village of Artigat, a one-legged man claiming to Martin Guerre shows up outside the courtroom. Bertrande admits that she has been living a lie with Pansette and the community is dumbfounded as to why Martin would leave his post in lay member of the military Order of Saint John of Jerusalem for his service for Spain. However, he did, perhaps out of guilt for his twelve year absence or out of spite to Bertrande or the man who believed he could steal Martin’s life. 16th Century research papers look into the height of the Renaissance, and the birth to the Age of Discovery, Protestant Reformation, and Scientific Revolution. France research papers deal with the geography of this country. Paper Masters writes custom research papers on Martin Guerre and discuss one of the first cases of identity theft.